“This is a wonderful day, I’m very happy and grateful to the Lord for all He has done for me. I had a celebration in India at the Feast of the Epiphany and I’m happy to be here now for another celebration with the other Jubilarians to thank God for all His love. Thank you to Archbishop Longley, Sr Anna O’Connor and the team for their work in making this a meaningful day for us. It was nice meeting the sisters and sharing with them- we look forward to these days. 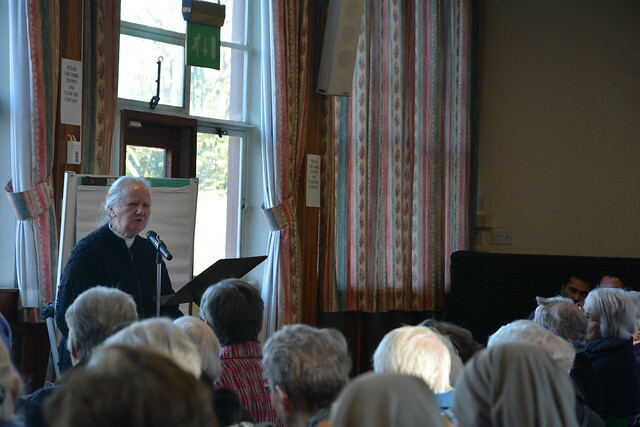 “I can’t believe I’ve spent 50 years as a Sister of Charity of St Paul- it’s beginning to feel a little bit exciting having everyone together after the celebration, which was a lovely celebration. “I have a lot of gratitude for a great life, a very fulfilling life. I am grateful to the congregation for giving me the great freedom to do whatever God wanted me to do. I’ve spent many years living and working with people on the margins, which continues to be a great privilege. “This has been a good gathering with a great sense of joy and celebration. It’s wonderful when people come together to witness and share, as we all have a lot in common.